The single channel Power Supply Repeater and Trip Amplifier D6254S provides a fully floating dc supply to energize conventional 2 wires 4-20 mA transmitters; it also accepts 0/4-20 mA current input signals, as well as ±12 V voltage inputs (also suitable for 0/1-5 V and 0/2-10 V signals). 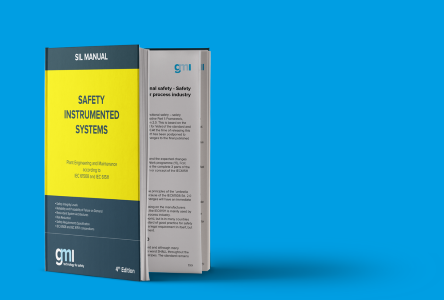 The module repeats/converts (in linear or square root scale) the input as on current signal, in a floating circuit to drive a load, suitable for applications requiring SIL 2 (according to IEC 61508:2010) in safety related systems for high risk industries. The output signal can be in direct or reverse form. Two independent Alarm Trip Amplifiers are also provided. Each alarm energizes or de-energizes an SPDT relay for low, high, window or fault repeater alarm functions. The two alarm relays trip points are settable over the entire input signal range. An optional alarm acknowledgement input is also provided. Mounting on standard DIN-Rail, with or without Power Bus, or on customized Termination Boards. • SC 3: Systematic Capability SIL 3. • Current Input signal: 4-20 mA loop or 0/4-20 mA externally powered. Voltage Input signal: ±12 V.
• Source/Sink Current Output signal: 0/4-20 mA linear or reverse. • Input and Output short circuit protection. • Out-of-range (burnout) fault detection. • Three port isolation, Input / Output / Supply. • EMC Compatibility to EN61000-6-2, EN61000-6-4, EN61326-1, EN61326-3-1 for safety systems. • High Density: 1 channel, 2 trips with alarm relays. • Optional alarm acknowledgement input.